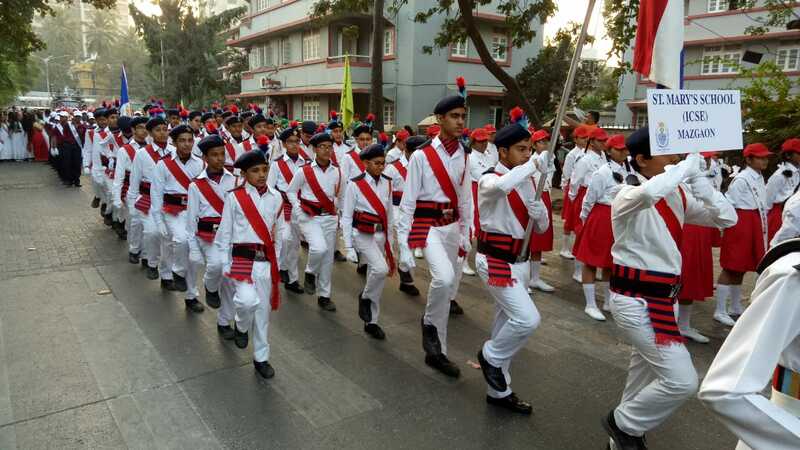 On the joyous occasion of the 70th Republic Day of India, a grand March Past Parade was organized by the Brihan-Mumbai Interschool Republic Day group (B.I.R.D). This event was held on Saturday, 26th January, 2019 at B.J. Road, Bandstand, Bandra (West). 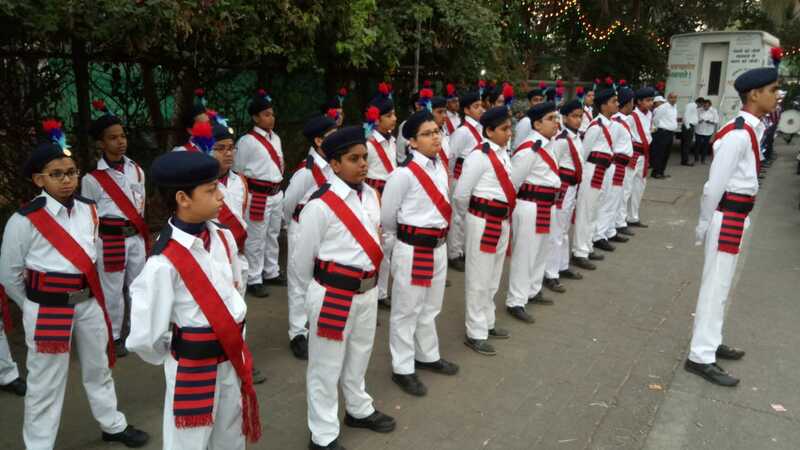 Every year the parade attracts various schools from all over Mumbai and this year, the main attraction was the participation of twenty-three schools of Mumbai jurisdiction. On the 26th January, 1950, the Governor-General at that time, Mr. Rajagopalachari handed over the reins of the Government to Mr. Rajendra Prasad, the first President of India. 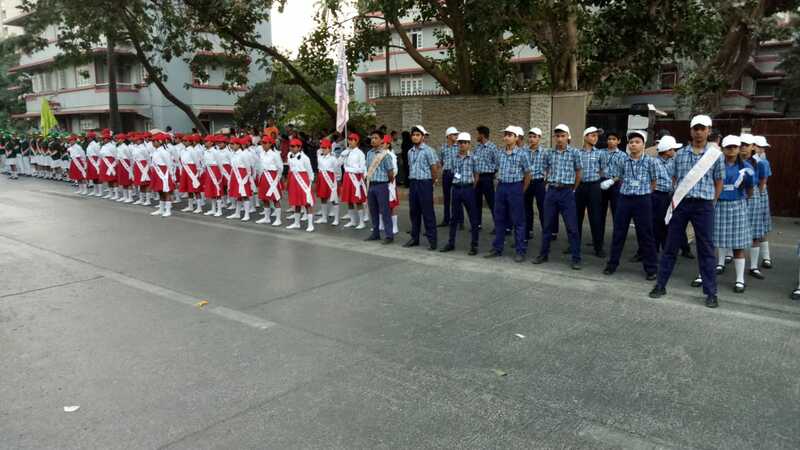 This year, students from the twenty-three schools reported for the parade at 6.00 a.m. 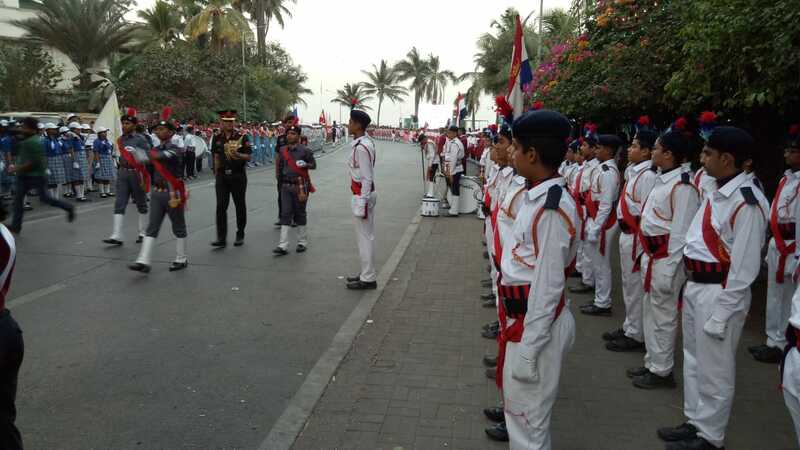 The public were allotted specific sections to witness the parade with excellent arrangements for their security, comfort and entertainment. 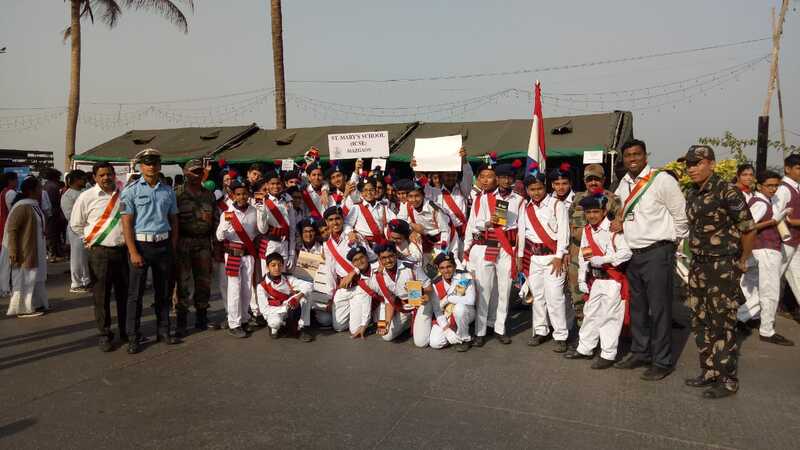 The Chief Guest for the occasion was Lt. General SK Prashar –AVSM, VSM; General Officer commanding the states of Maharashtra, Gujarat and Goa. 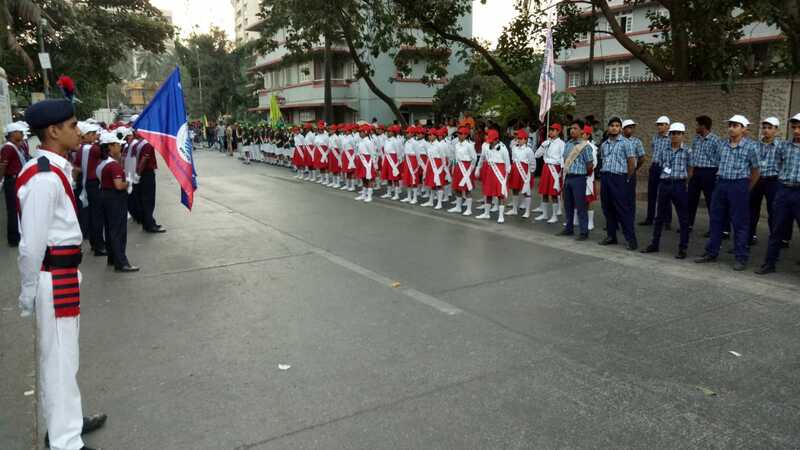 The Chief Guest was welcomed and escorted to the saluting platform. 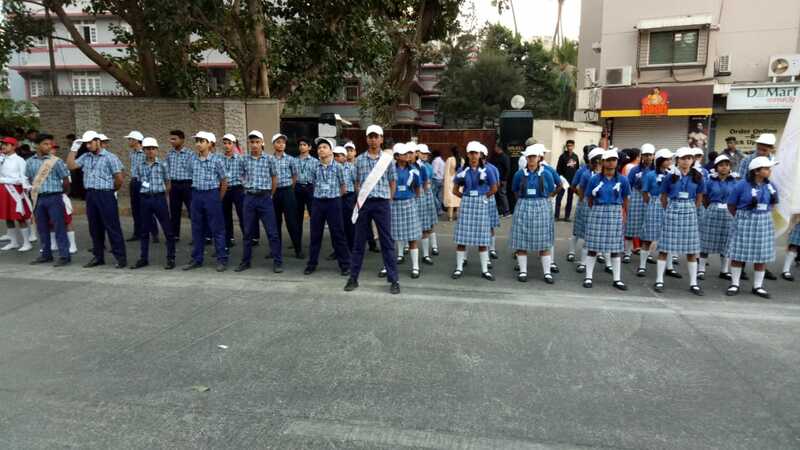 The National Flag was then ceremoniously unfurled with the singing of the National Anthem. A minute of silence was then observed as a mark of respect for the martyrs of the country, specially the soldiers and the police, who sacrificed their lives for the nation. The Chief Guest then led us in the pledge and delivered a patriotic speech. It was Pandit Jawaharlal Nehru who publicly announced that free India would be a Sovereign Democratic Republic by the will of the people. Social, economic and political justice with equality of opportunity and freedom of expression, belief and faith for all. All these were made Rule of Law in the Preamble of the Indian Constitution promulgated of January 26, 1950. 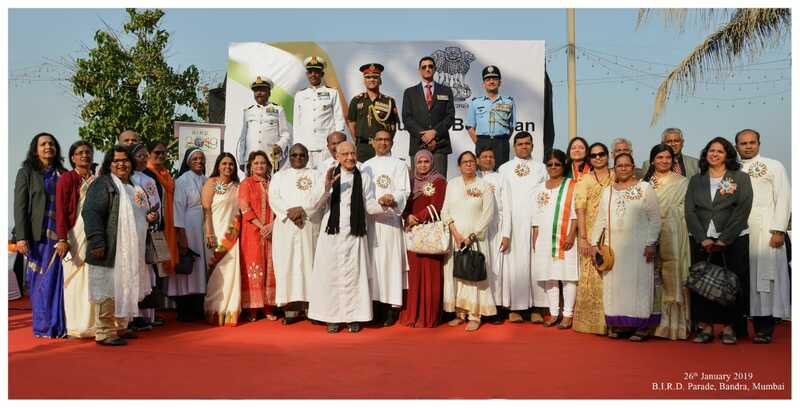 Every Indian honours the Nation, appreciates her Defence Forces and jointly celebrates with respect and pride. 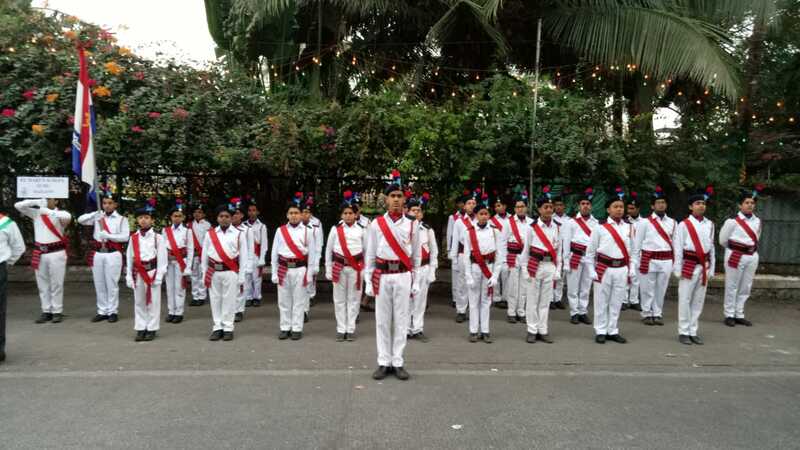 The marching squads were inspected by the Chief Guest, who was then escorted to the reviewing dais for the salute. 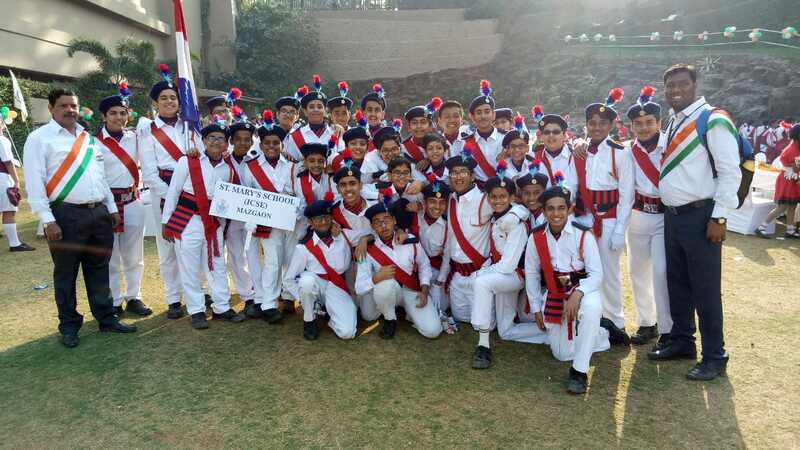 It was very enlightening and heart rending to witness the 23 schools marching with zeal and fervour for their country. 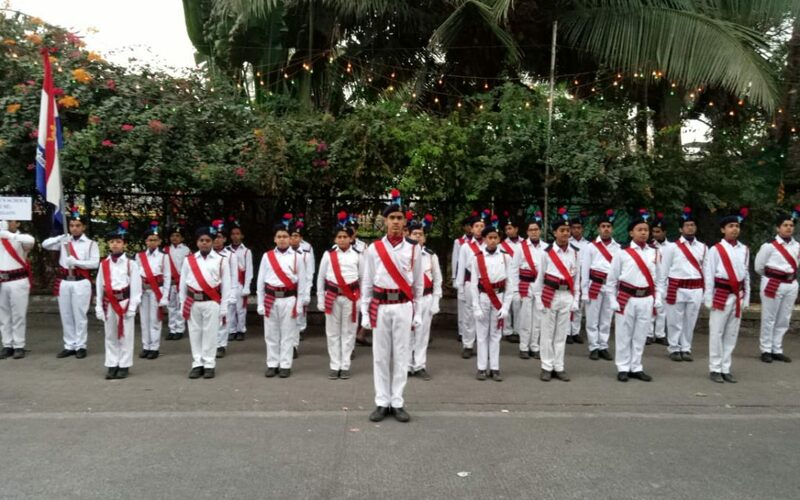 St Xavier’s High School – Fort was given the honours of leading the March Past, since this institution is celebrating 150 glorious years of their foundation. It was a unique experience for the thirty-three students of our St Mary’s I.C.S.E. 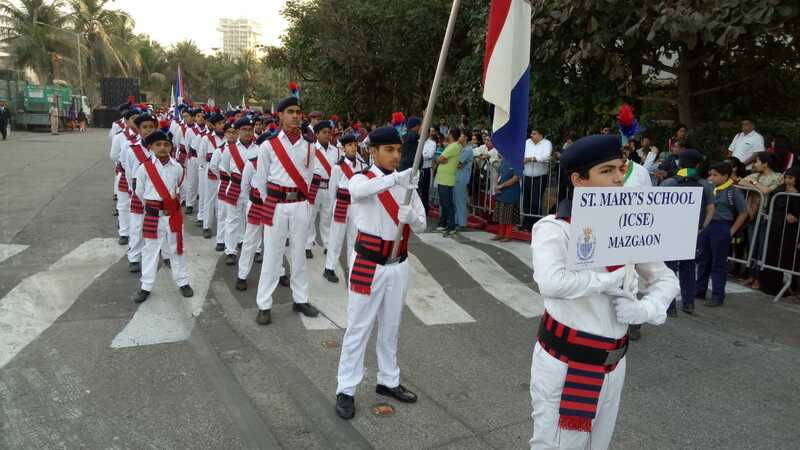 school, who had practiced very hard in preparation for this event and marched with pride keeping the Marian Flag flying high during the event with the school band also playing whilst marching, kept the people on their toes. The marching was well done with different bands adding colour, sound and glamour. There were eye-catching pagents from some schools and colourful dances with attractive attire. It was fascinating for the thousands that flocked to the venue to watch and witness the event. 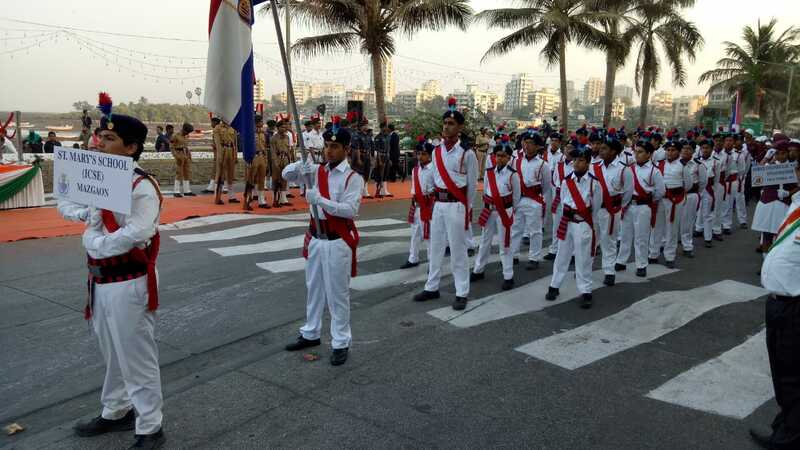 The ambience at Bandra Bandstand was charged with a patriotic feeling, as the rhythmic tunes of various school bands played favourite national songs. 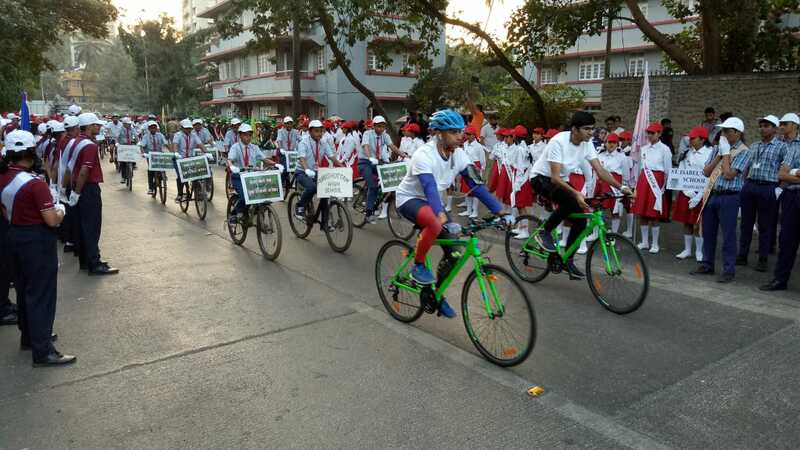 Malkhamb, cycle stunts and cultural floats were also showcased as part of the parade event. 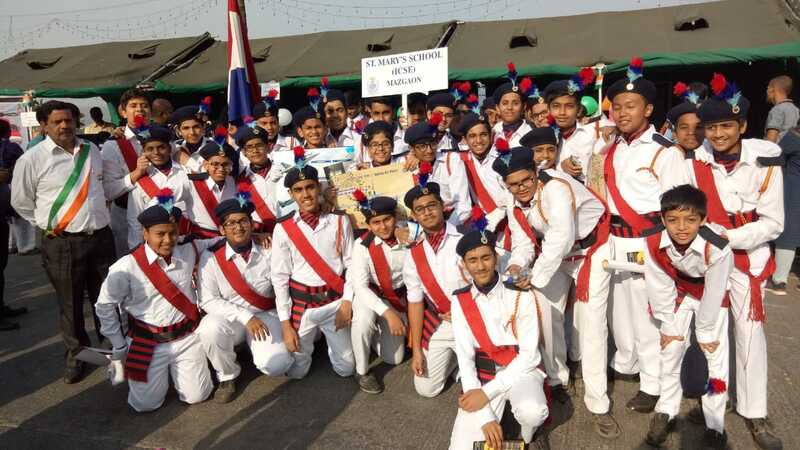 It was indeed a day of celebration, pomp and grandeur. 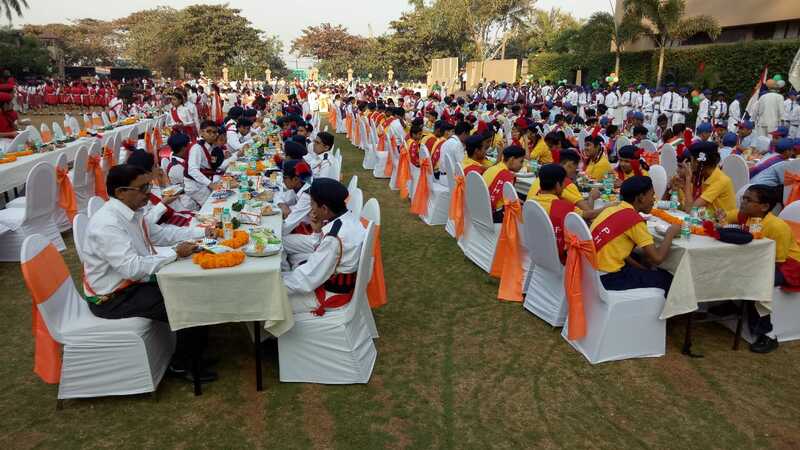 A vote of thanks concluded the event as the Guests, School Principals and participating students proceeded to the Taj Lands End lawns for breakfast. It was a fitting close to an eventful National celebration. VANDE MATARAM – JAI HIND!